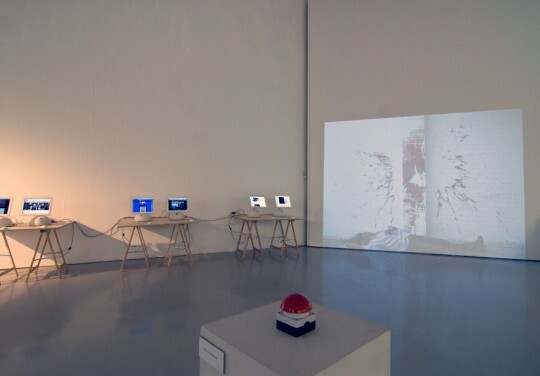 PUSHa/b is an interactive installation by PIEK! made for the exhibiton ‘Move iT’ organised by The Sandberg Institute in NIMK, the Dutch time based intstitute for unstable media. 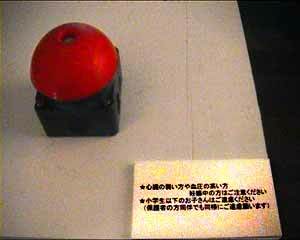 At the entrance of the exhibtion there is a traffic light with a typical ‘traffic light button’ attached to it. 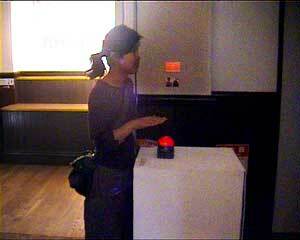 By pushing that button, the light turns from red to green, and turns red in about 30 seconds. At the end of the exhibition, on the third floor, one sees a video projection of a man standing in front of a white washed wall. In front of this is a big red alarm button attached on a white supporting base. If someone pushes that button, one heares the sound of a shot that is fired and sees the man standing gets shot in the stomach. 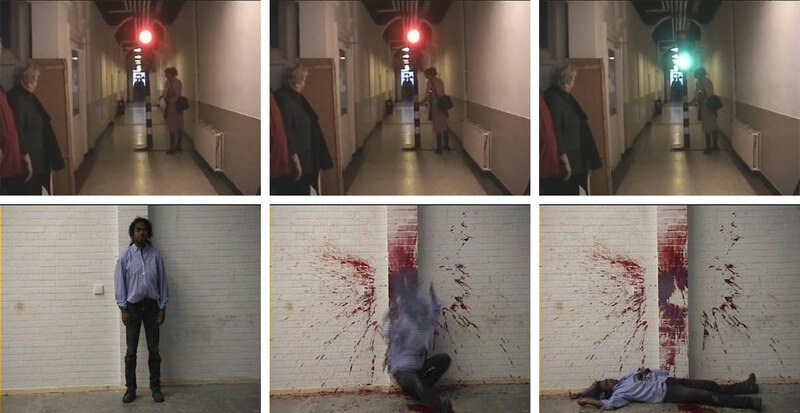 Blood is splashing against the wall, and the man collapses. Review in ‘Het Parool’, a dutch newspaper, Januari 2 2001.